Paul is a folding guest bed available in single, large single and French double models. With the look of a camp bed for unexpected guests, it can be considered an actual bed thanks to some technical and aesthetic details. 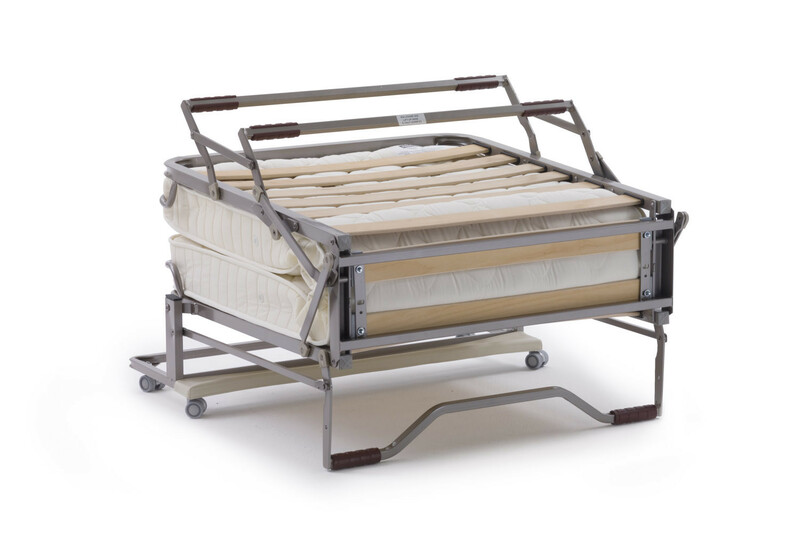 Equipped with a slatted base and a sprung mattress, replaceable with other models, Paul guarantees a high comfort of use. Perfect to be stored in anywhere in the house, its space-saving folding structure guarantees a minimal encumbrance making it very easy to move around thanks to the automatic movement of the feet and the casters auto-locking system. 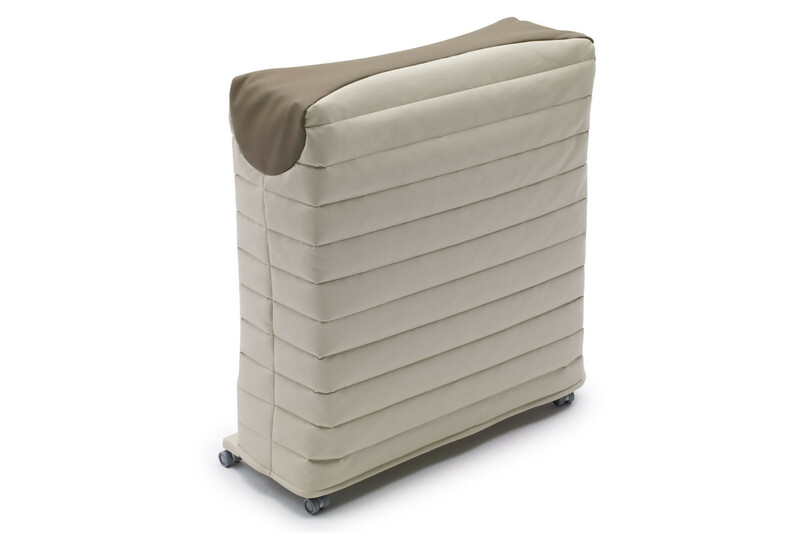 These details, combined with the few simple steps required to open it, make it a folding bed perfect for a daily use. Moreover, our attention to aesthetic details made us equip Paul with a base cover with valance and a quilted hood. 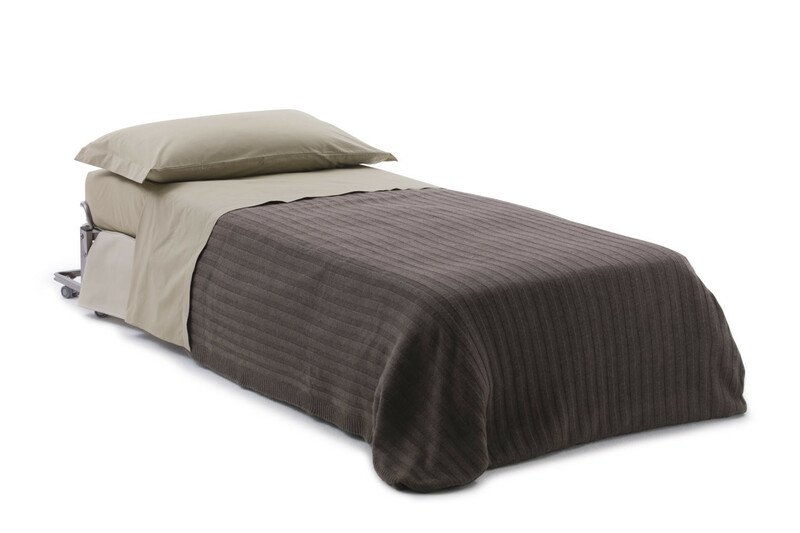 Paul bed is equipped with a standard bed base with wooden slats. Paul folding bed can be completed with a quilted hooded cover and a fabric valance. 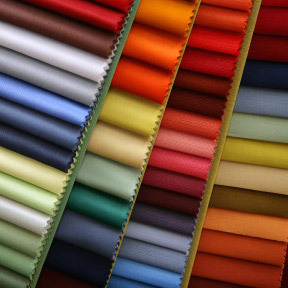 Valance and hood are available in fabric in a wide range of colours. Paul bed includes a standard slatted base. 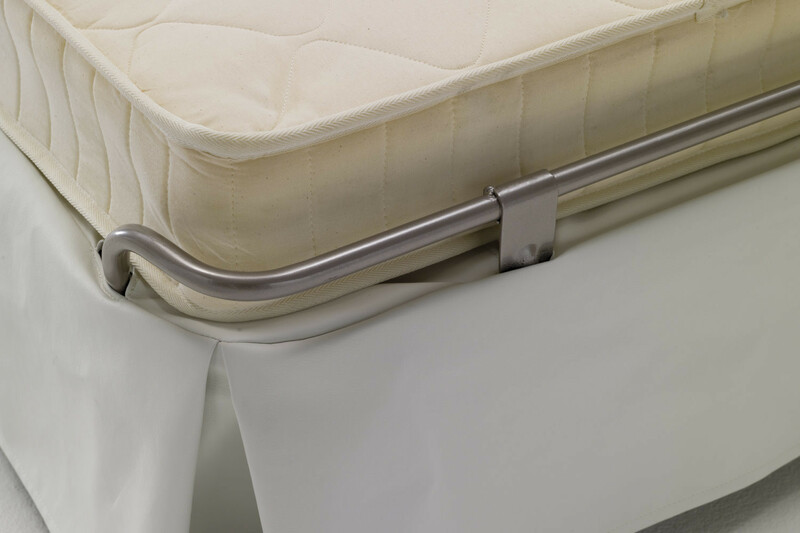 Mattress: Standard sprung mattress with "Bonnel" springing in tempered steel with a diameter of 2,20 mm; a 30 Kg/m³ expanded polyurethane layer on top and bottom, 100% cotton fabric quilted with g 200/m² 100% PL resin fibre and nonwoven fabric; quilted side with aerators; tape edge. 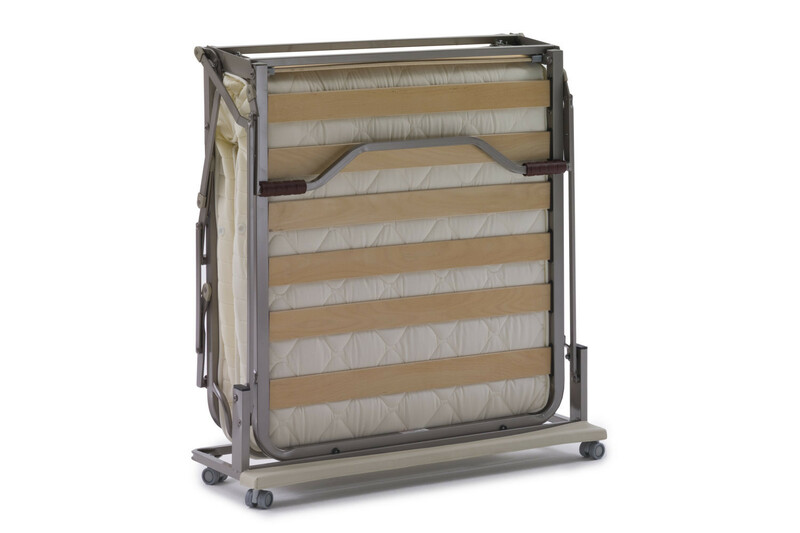 Paul bed can be equipped with another mattress to be chose among the ones included in the configuration menu. For the quilted hood cover we recommend dry-cleaning only.